Season 8 has started in Fortnite and this week’s challenge has you looking for some hidden faces. For this challenge, you’ll need to find three giant faces around the corners of the Fortnite map. There’s one in the jungle, one in the desert and one in the snow, so here’s exactly where you can find them. 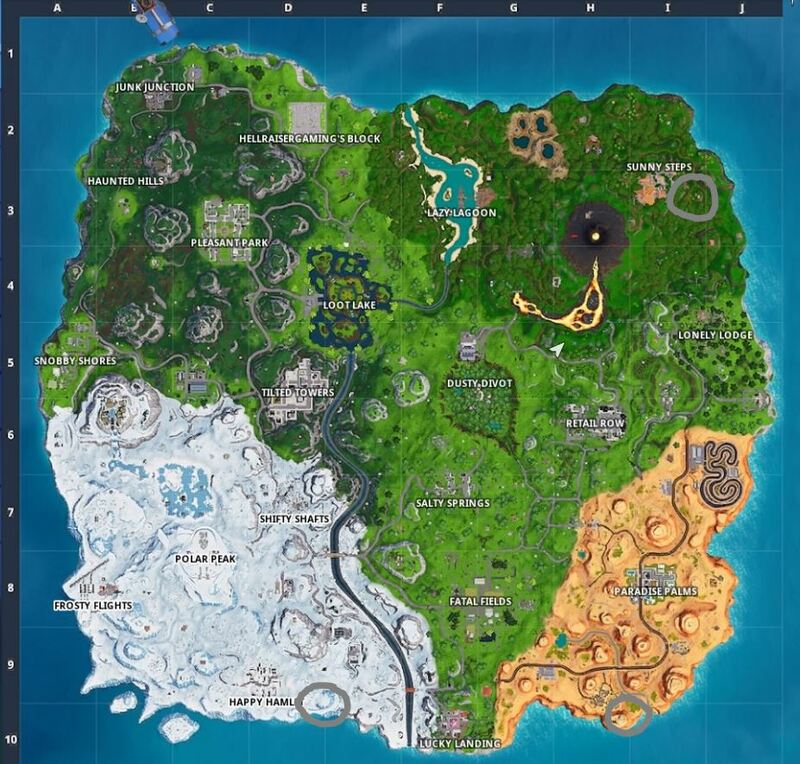 It’s Week 1 of Season 8 and the map has undergone some pretty big changes. There are two new locations, Lazy Lagoon and Sunny Steps, and a volcano and river of lava have appeared. The giant faces are carved into rocks and glaciers. They look like a rocky guy with a moustache, an angry iceman, and a derpy little fella with pointy teeth, so you have a point of reference.